The second day of Russian National Championship was full of different kind of emotions. Joy and happiness, hope and faces, tears and disappointments – all of it and much more were in Yoshkar-Ola this Sunday. Junior teams came on the ice first. All 12 teams showed strong performances, interesting programs and desire to be better than others. Some of them improved their positions, some worsened. The most intriguing fight was at the top. The skills of each team are very high and even small mistake could change the positions. Only team Crystal Ice Junior was able to keep calm, concentrate during all the program and don’t allow any mistake. With a strong performance, they deservedly won free skating. Team Junost Junior also skated very well their program by the first concert of Tchaikovsky but one fall allowed them to take only the second place. Team Sunrise-1 very strongly wanted to show their unbelievable free program “Ave Maria” and probably this strong desire prevented them. With two falls in the intersection, they claimed the 3rd place. 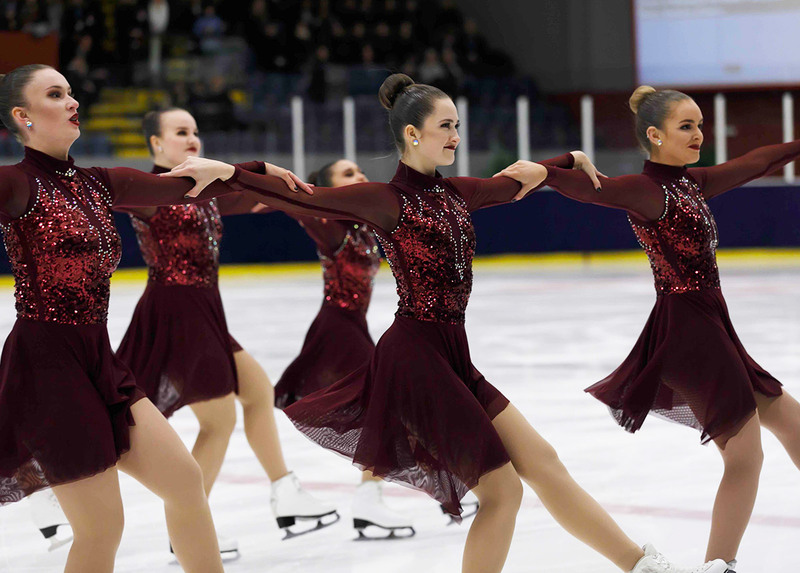 Despite the fact that Crystal Ice Junior won the free skate competition, the national champions 2019 in the Junior division is team Junost, which earned 209.89 points in total. This is the 17th victory for this team from Yekaterinburg. 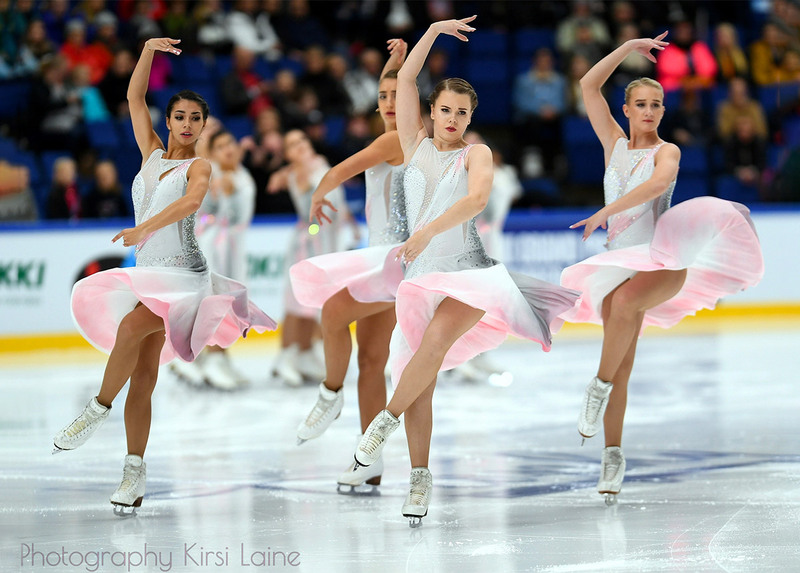 Crystal Ice took the silver medal and got the second ticket for the Worlds in Neuchâtel (JWSSC) with 207.16 points. The bronze medal went to Sunrise-1 with 191.49 points. In the Senior field, Team Paradise won the championships for the 21st time. But it wasn’t ordinary win. Skaters showed extremely clean, light, emotional and bright performance. Six judges (out of nine) gave them 10.0 for the composition and for interpretation! The total score is 239.84 points! For the second place, it was a big fight between Team Tatarstan and Crystal Ice Senior. After the short program, only 1 point separated the two teams. In the free skating, both teams showed their best and it was a tough challenge for the judges to give them scores and decide who was better. Team Tatarstan skated without any mistake and earned 143.99 points. Crystal Ice Senior had one fall in a transition, which didn’t spoil the impression of the program, but they earned 137.87 points. The final total scores are 222.59 for Tatarstan and 217.75 for Crystal Ice. The competition is over but soon you could see best Russian teams at international competitions and World Championships. 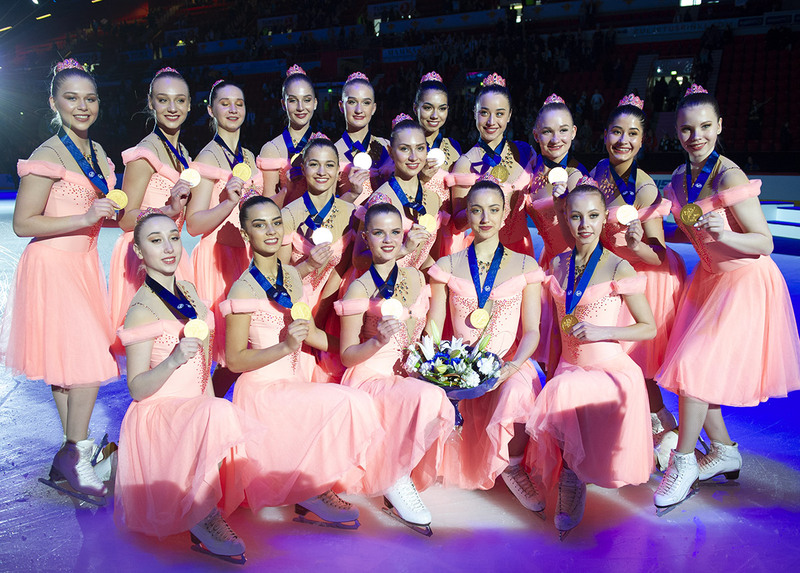 And from now, you can watch their performances on the YouTube channel of the Figure Skating Federation of Russia. I was a skater in Team Paradise from 2006 to 2015 and I've been in love with synchro skating since my first competitive season. When I was a pupil I liked journalism. When I finished my skating career I decided why not to write about my favorite sport? I’ve been writing for Jura Synchro since 2016 and I also write synchro news for Russian Figure skating Federation website. I have a lot of ideas about the development of our sport and I hope that I can implement them. In addition to this I like travelling and reading books.